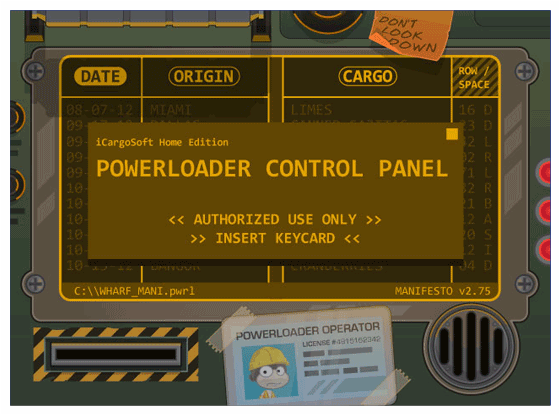 Have you ever been playing Poptropica only to get hit with a sudden desire to know how on earth the Creators make all of those islands, Poptropicans, common rooms, bad guys, and all the other stuff that Poptropica has? And then, after wondering about that for a while you start to think that, maybe, if you could learn how to do all of that stuff for yourself, that you would like to make an island of your own? An island with your own story, your own bad guys, and your own setting. An island that the Creators, or anyone else for that matter, couldn’t possibly mess up because it was all yours. I, personally, have never had any of those desires… But, just for the sake of this post, let’s assume that you have. Anyway, if you have wished/thought of any of that stuff, you’re in luck! On August 1, the Creators are releasing a kit called the Poptropica Island Creator Kit. The kit will answer all of your questions, and, at the same time, it will let you come up with your own island, just like the Creators do! Have you ever wanted to create your own Island? Now’s your chance! The Island Creator Kit will be available on August 1, and it’s available for pre-order right now on Amazon! Like the good old Captain said in his post, the kit is available for pre-order on Amazon.com. The price right now is $7.19. In case you’re wondering, here’s the description of the kit from Amazon’s page on it. 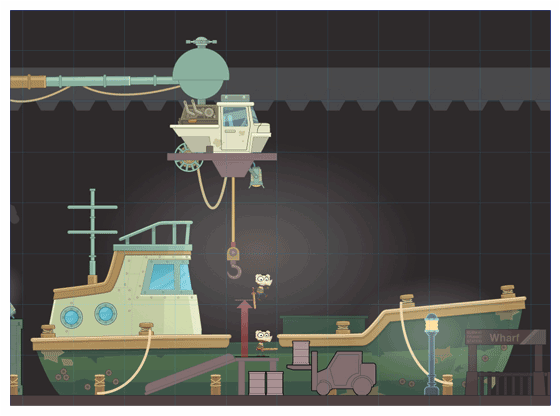 Poptropica’s Guide to Island Creation is a first-hand look at creating a custom island Poptropica style. 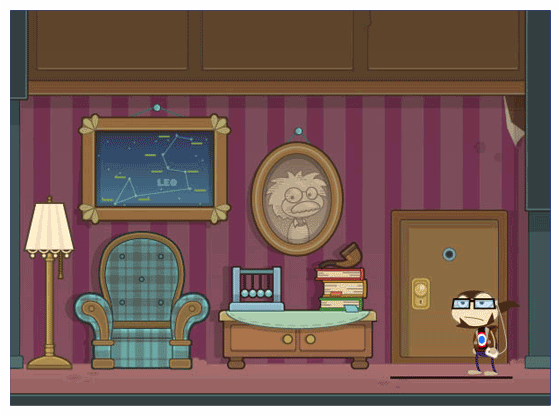 Written and illustrated by the site’s creative team, this unique how-to book guides fans through every step in the process of creating their own Poptropica island. 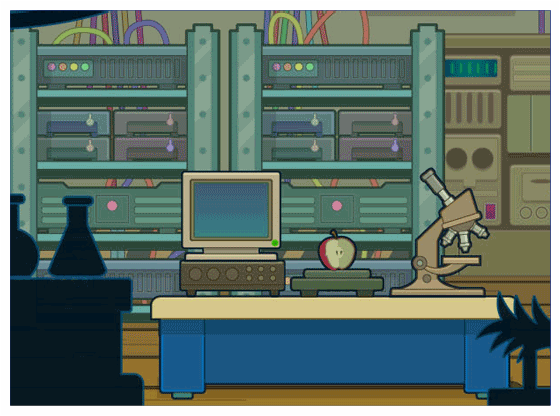 So, if you’re a budding Poptropica Creator, this might be just the thing for you! 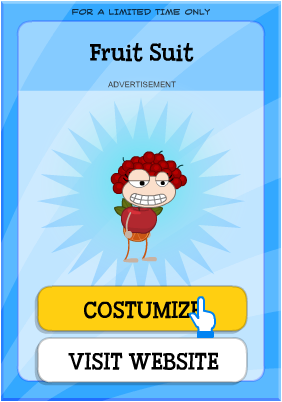 I was wandering around on Zomberry Island when I saw this ad for Capri Sun! There are two parts to this ad: the African Safari part and the Hawaii Zipline part. Let’s start with the African Safari. Go to the left and go through the door that is labeled African Safari. You’ll be brought to a screen where you can choose to go back, or continue on to the Safari. Continue on! The directions will tell you to search for the Capri Sun adventure crates. This game is super easy. Basically, all you have to do is ride around in your jeep and gather up all of the crates. If that wasn’t easy enough, in the top right-hand corner of the screen, there’s a map that has a bunch of stars on it. The stars represent the crates. So, really all you have to do drive the jeep to where the map tells you to and get the crate. Simple, right? 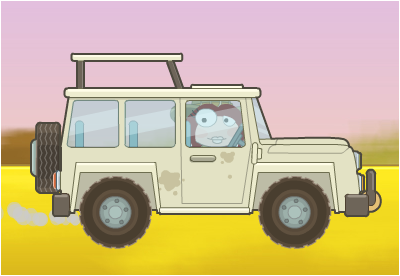 If you complete it before the time is up, then you will get the Safari Photographer costume and the Safari SUV Power. 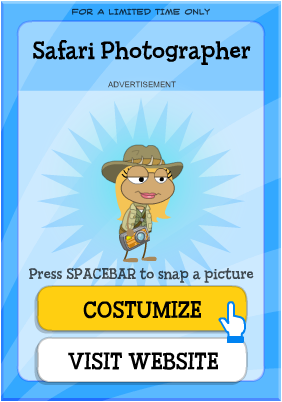 If you press the SPACEBAR while holding the camera in the Safari Photographer costume, your Poptropican will hold the camera up and the camera will flash. 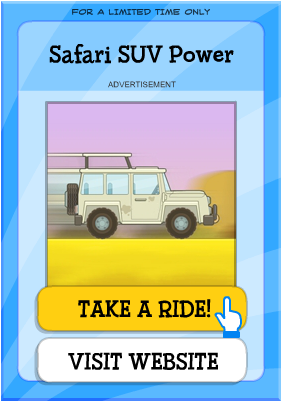 If you press the Take A Ride button on the Safari SUV Power, an SUV will drive by, your Poptropican will get in it, and you’ll go to a screen where you see your Poptropican in the SUV for a few seconds. Now let’s move on to the Hawaii Zipline part of the ad. Go to the right and go through the door that is labeled Hawaii Zipline. Like before, you’ll be brought to a screen where you can go back or go on to the Hawaii Zipline. Like before, continue on. The directions will tell you to “collect the fruit as you ZIP to the finish line”. This one is a little harder, or at least it is for me. The goal is to get the fruit, while avoiding the birds. The fruit isn’t in a straight line, though. Some fruits are higher, and some are lower. Click the mouse to fling yourself up. After you fling yourself up, unless you keep clicking, you’ll kind of dip down before going back to the way you were before. You have to do a combination of flinging and dipping in order to get the fruit and avoid the birds. If you hit a bird, you’ll fall down, and you’ll have to start over. You don’t have to collect all of the fruit to get to the end, so just try to collect as many as you can while you focus on avoiding the birds. You should have it after a few tries. Once you get to the finish line, you’ll get the Fruit Suit costume and the Roaring Waters Power. Unlike the Safari Photographer costume, the Fruit Suit costume doesn’t have any special actions and it isn’t all that amazing. Kind of weird, isn’t it? 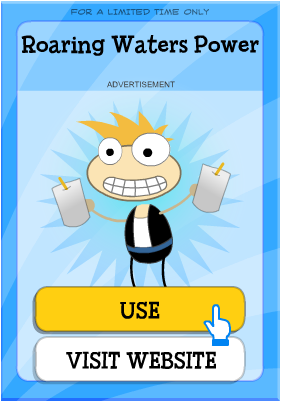 When you press the Use button on the Roaring Waters Power, your Poptropican will hold out two Capri Sun juice boxes/pouches and juice will squirt out of them, eventually turning Poptropica into a momentary sea of juice. That’s about it for this little guide of mine. Back to trying to beat Zomberry Island I go! So, so sorry for not posting since February! I know that a lot of my past posts have started like this, and I really am sorry about that. It just seems like I’ll finally get the time to start posting again, and then something will happen to keep me too busy to post. Like I’ve said before, it’s not that I don’t like Poptropica anymore; it’s just that life has been kind of busy and hectic recently. Nothing bad has happened, I’ve just been really busy. Anyway, since I haven’t even looked at Poptropica since February, I pretty much have no idea what has been going on recently, so I’ll probably spend at least the next few days figuring out what I’ve missed, beating all of the islands that I haven’t played yet, and adding the guides that I haven’t added yet. Like I said before, I’m so sorry that this keeps happening! I want to thank all of my amazing authors and everyone who keeps coming back, you guys are incredible! Okay, the last time I posted was over two months ago. Ugh. I am so, so sorry that I keep not posting! It’s just that I’ve either been really busy or really lazy. It’s not that I’ve lost interest in Poptropica, it’s just that life keeps getting in the way. (And, yes, I know I’ve said that before. 😉 ) But I’m back now. And maybe this time I’ll be back to stay. I’m just going to go ahead and say two things. The first one is that I probably won’t be able to post as much as I would like, just because of life and school and stuff. Hopefully when summer comes I’ll be able to do a little bit more posting than I’m able to now. The second thing is that, because I’ve been gone for two months, I’m pretty much clueless about what has gone on in the world of Popropica recently. So it might take me a little while to catch up. If some nice person out there would like to sum up what has gone on between the last time I posted and now, it would help me a lot! (Hint, hint!) 😉 You don’t have to, of course, it just might help speed up the process of me getting back on track. I’ll deal with things like all those comments that I have to approve and changing the header right away. Then, after I figure out everything I’ve missed, I’ll do posts about all the really important stuff that hasn’t been posted about yet. I’m thinking about hiring a new author, so if you want to be an author, comment on this post or on the Become an Author page, and I’ll consider you. I’m not definite about whether I actually want to hire an author or not, so I may end up not hiring anyone at all. But, we’ll see! The last time I did a post on sneak peeks from Daily Pop was in September. So it goes without saying that I have a lot to talk about. So, I think I’m going to skip trying to think of a good introduction and go straight to the sneak peeks. That will save me time…and I won’t have to try and think of a good way to open this post. I’ve already failed at that. Dry Dock- At last, your ship has come in. I’m guessing that this might be something from a city-themed island. It just looks like something that would fit in a big city. Or maybe it’s something from a sea-themed island. Who knows? It might be from Zomberry Island, but I’m not sure. Wok Hard- Don’t look too closely at the menu. This is definitely from Zomberry Island. It’s in one of the pictures on the info-page. Bachelor Pad- An inviting residence for the young at heart. This looks like it could maybe be a someone’s room in an island. I’m not sure what kind of island it would be for, though. Under Construction- We’re building a better island. 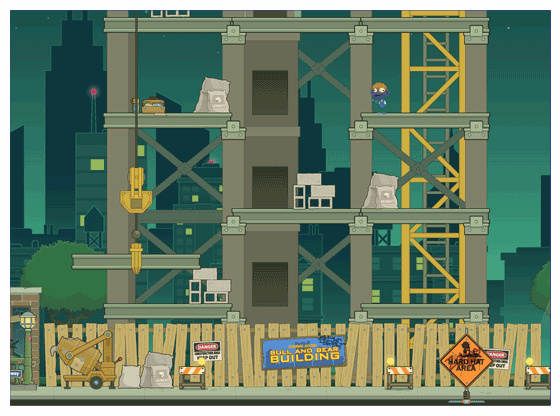 Obviously a construction site… This is from Zomberry Island, as well. It’s in the downloadable desktop wallpaper from the info-page. What Four- Some possibilities for the design of a new character. According to the caption, it’s a sketch for the design of a new character. I’m not sure which one a like the best. It’s weird, but, in one way, they’re really alike, and, in another way, they’re really different. I guess it would depend on what kind of a character it’s for. Emergency Exit- They didn’t drill for this calamity. I’m guessing that this is from Zomberry Island as well. It fits in with the sort of chaotic/panicky feel that the island has. If it’s not from Zomberry Island, then it might be from some other sort of city-themed island. I’m not sure what else to think about it, except that I sure am sorry for whoever was in that schoolbus. Green Glow- The secret is: there’s no secret of the ooze. I’m not sure what to think about this one. It looks like it might be from a city-themed island. It could possibly be from Zomberry Island. If it is, than it looks like it would be in around the same area as the schoolbus. Home Sweet Home- Nothing like a cozy unliving room. It looks like a room from someone’s house or apartment. Not sure what kind of island it could be for, but whoever lives in that place sure must like science. Bunk- Perhaps you, too, will love the 90s. Hmm… Maybe, cause the caption says “Perhaps, you, too will love the 90s”, maybe that means that you travel back in time to the 90s? Or, that could be a room that was decorated in the 90s and was never changed. Neither of those sound very likely, but you never know. Magic Machine- This thing will wake you up in the morning. I’m not sure what this thing is… It looks like some kind of weird, crazy, giant coffee machine. Be a Star- It’s time for you to take center stage. Traffic Jam- Looks like we took a wrong turn. This looks like it could be either from Zomberry Island or some other city-themed island. Whatever it’s from, I sure am sorry for that city. First they have a schoolbus-wreck, then they have a bunch of green ooze spilling all over the place, and now they have yet another wreck with oil spilling all over the place. Power Load- Just watch me explode! This looks like a control panel for maybe some kind of machinery. 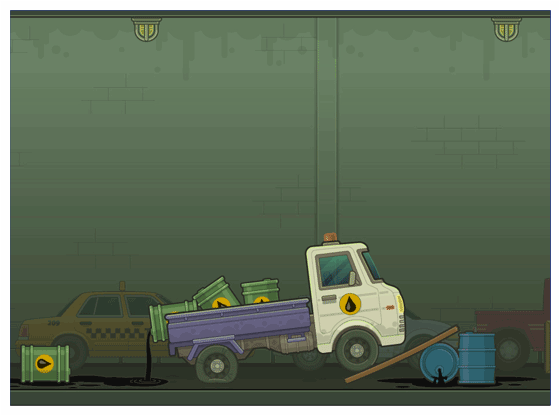 It might be from Zomberry Island, considering that there’s a construction site there. Whatever it is, I have a feeling we are going to be up high, judging by the post-it-note that says “Don’t Look Down”. Just what a person who’s scared to death of heights has always dreamed of. I just thought of this, but doesn’t that guy look sort of like Joe Puddy from the comics about Zomberry Island? The Bungalow-Down- Real estate prices have been plummeting around here. It looks like someone’s house. I think it’s almost definitely from Zomberry Island. You can tell by the background. Can It- Yep, we’re making you paw through somebody’s trash again. Cast of Characters- You’ll meet them all on an upcoming island. No idea what kind of island these characters could be from. 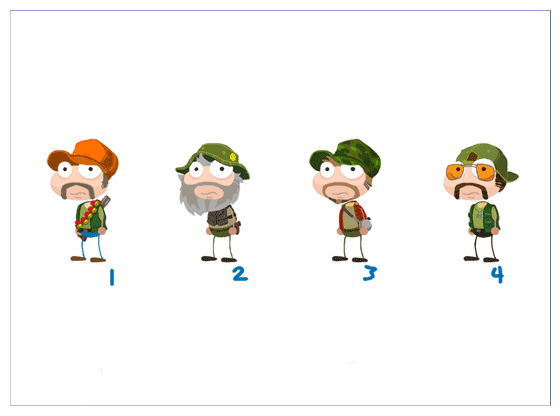 All I know is that the first two Poptropicans’ outfits are sort of…well…weird. They might possibly be from Zomberry Island, but I don’t know. 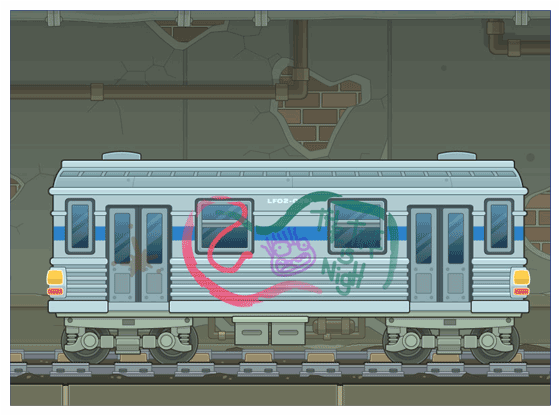 Train in Vain- Go nowhere fast in this subway tunnel. Total Bunk- Front door’s locked up tight. Definitely from Zomberry Island. You can see it in one of the comics released by the Creators. A Little Perspective- You’re the first person to see this view. It looks like it is some sort of lab. What for, I have no idea. 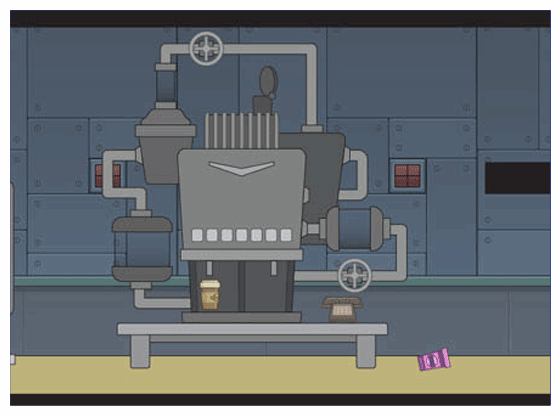 I can’t help but be reminded of Shrink Ray Island when I look at that microscope. Hopefully, the Creators don’t have another island where we get shrunk by a baddie planned for us. Harvest- There’s a bad moon on the rise. Dorf Goes Driving- Curse these good for nothing imports. This is obviously some sort of broken down car. Maybe “Dorf” is the name of the car? I’m not sure what kind of island it would be from, though. Find My Phone- Where is my phone? Have you seen it? It looks like some sort of website where you can find your lost phone. Maybe in some island your Poptropican gets a cell phone and then goes and looses it. Or maybe you have to find someone’s cell phone to get a clue on how to beat an island or something like that. Trick or Treat- Unwrap something tasty this Halloween. After Hours- Concept art for a brand-new island. The way this is sketched makes it look like it’s going to be for some kind of sci-fi sort of island. Maybe will be, maybe it won’t. Squirrely- They’ll go nuts if you mess with their stuff. This one is also from Charlie and the Chocolate Factory. It’s sort of weird to look back and see sneak peeks and actually know what island they’re for instead of just having to guess. It sort of takes the fun out of them. Pail Imitation- What’s for lunch? I’m going to take a wild guess and say that this is someone’s lunchbox. 😉 It looks like there’s a note underneath the banana, maybe that will be a clue in a future island. Eau de Toilet- It’s made with bits of real panther. Mixed Fruits- They’re always in season. This is definitely something from Zomberry Island. Maybe you find this in the Berry Delicious Smoothie Shop. Maybe it’s the smoothies that are turning all those fruit-crazy Poptropicans into zombies. Waters Fall- This fountain rocks! It is either a waterfall that looks like a fountain, or a fountain that looks like a waterfall. Which makes no sense either way. Those green things look like they’re either statues or bushes that have been trimmed to look like animals. It looks like there’s an eagle or some other kind of bird, a deer, and a shark. Sports Legends- Only the finest sports collectibles. It looks like maybe some shelves from a store or something. Not sure what kind of island it would be from, but if you like sports then you’re bound to like this! UV Rays- You might as well be walking on the sun. The Land of Nod- There’s no better place to catch forty winks. This one looks like it’s a sketch for an island, as well. I don’t know what kind of an island this would be for, either. Very Authentic- Don’t ever settle for mostly authentic. It looks like a Chinese restaurant. Besides stating the very obvious fact, I can’t think of much else to say about this picture…except that I don’t know what to say about it. Trendspotting- You’ll find your outfits to be a very popular subject. It looks like part of a clothing shop. Maybe it’s either part of the same shop or mall as the store in the “UV Rays” sneak peek. Pet Shop Boys- Go on safari for your next best friend. So, it looks like it’s part of a pet shop. Maybe the next island is “mall island”. Probably not, but it’s strange that there a bunch of store-themed sneak peeks. I’m sort of worried about the case where the coral snake is supposed to be, though. Either the snake has been sold, or it escaped. The idea of an escaped snake isn’t the best thing in the world. Take a Swing- Get in a few cuts down at the batting cage. It looks like it’s from the same place as the “Sports Legend” sneak peek. Maybe it’s part of the same store, or something. Foliage Fest- Trees for all seasons. The Blueprint- Perhaps a whiteprint is a more accurate term. This is a plan for one big building. Very fancy. Atrium- This is as classy as it gets, folks. It seems that, possibly, the blueprint above this is the outside of this mall. 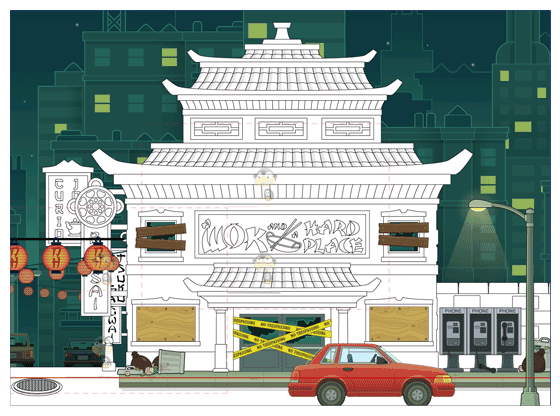 Maybe the section that says “Chinese” is where the Chinese restaurant in the “Very Authentic” sneak peek goes. The Red Door- What hides behind it? These doors look like the doors to the fitting rooms in the “Trendspotting” sneak peek. Except without the closed signs. Maybe the fitting rooms lead to another, secret room? Probably not, but still. Pet Shop Boys- Caring for these creatures is a big responsibility. This looks like it’s part of the same store as the other “Pet Shop Boys” sneak peek. There’s a skull above the sign. A pet shop with a skull in it…odd. Eating Good- We’ll get you a couple of apps while you look over the menu. Is it just me, or does this restaurant look very much like an Applebee’s? Even the name is sort of the same. I’m not surprised, though, considering the Creators have advertised Poptropica through Applebee’s several times before. I wonder what the “couple of apps” part of the description means. The Champ is Here- Here in our memories, that is. This looks like it’s probably from the same sports themed store/place. I think the thing on the left is a picture. I have no idea what the thing on the right is, though. 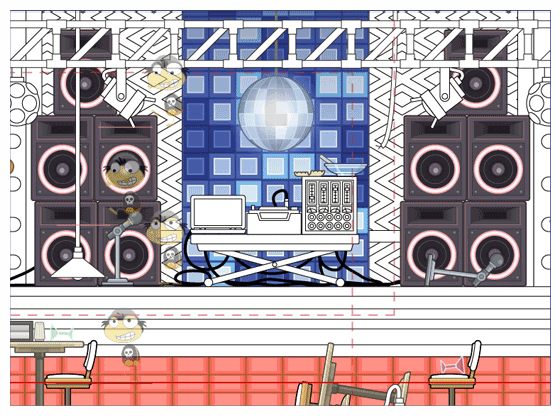 Best of the Best- A Poptropica designer’s work is never done. Looks like a bigger version of the pic above this one. Without the thing on the right, of course. I’m guessing that this is also part of the same sports themed store. Inspect Your Gadget- You’ll wonder how you ever lived without these handy, dandy devices. This looks like a sketch for another store. I’m not sure how how many of these devices I would use. I could definitely use the flouride peanut butter. After all, you can never have too healthy teeth. The magnetic toothbrush isn’t the craziest gadget here, but I’d be worried about something getting on my toothbrush. The alarm clock curling iron I could definitely use, cause I loose track of time very easily. The fish bowl hat…I’d be scared a would tilt my head a little too far and the fish would fall… If, for the shocking alarm pillow, they mean shock as in electricity, I wouldn’t want that. My hair is frizzy enough as it is. The pocket hibachi grill…I don’t even know what a hibachi grill is. The voice-activated toilet paper is just weird. And I still don’t know what to think about the R.C. Shower. Fashion Plate- Try before you buy. It looks like yet another store. I think it might be part of the same store as the one in the “Trendpotting” sneak peek. Whoopzie- Try not to gag on all of these gifts. Looks like a sign and some posters for a joke gift shop. A bunch of classic jokes with new names. Le Pew- Eau, what’s that smell? Shop Smart- You’d better make it to the mall in time. It looks like this is the sign to the mall with all of the shops that we’ve been seeing. The description makes me think that we’re going to have to get to the mall in a certain amount of time. Just an idea. To the Cloud- Float away to the land of nod. It looks like this is part of the place that we saw in the “The Land of Nod” sneak peek. I couldn’t tell what it was before, but now it looks like it’s a mattress shop, a bed shop, or both. I can’t help but be reminded of The Princess and the Pea when I look at all the mattresses piled up like that. Making Copies- For all your printing needs. Looks like a store where you can make copies and print things…and stuff… That was pretty obvious. The sign in the picture reminds me of FedEx’s logo with the two different colors in the name. Well, that’s it. It’s taken me awhile to do this post with all these sneak peeks. I’m glad to be done. 😉 I hope you enjoyed it! Just in case you’re confused, the captions under the pictures are the descriptions from Daily Pop. The writing underneath that is what I thought of the picture. Now that I’ve finished this, I’m going to start working on finishing that 24 Carrot Island video guide that I have worked on in forever. I’ll also start working on doing a Pop Picture Contest sometime soon, so stay tuned! Christmas is coming closer and closer, so here’s an early message! Candy + Zombies = ? It’s very strange; the closer we get to Christmas, the closer we get to a creepy, weird, zombie-themed island. Somehow the two just don’t fit… Hopefully you’ll get a lot of presents to help you deal with this upcoming island. But, before we get on with the zombie news, let’s start with something a bit sweeter. Charlie and the Chocolate Factory is now out for non-members! Are you ready to get your golden ticket and delve into a candy-lovers dream? Prepare yourself for a crazy adventure! If you get a little stuck along the way, don’t forget to check out our awesome Charlie and the Chocolate Factory guide, written by Samwow5. Though it is good news, Charlie and the Chocolate Factory isn’t the main theme of this post. More news about Zomberry Island is waiting to be told. Let the creepiness begin! As you probably know by now, the Creators have been releasing a series of comics telling about how Zomberry Island’s fruit-loving inhabitants got turned into zombies that would fit in nicely in a horror movie. If you missed the first half of the series, just take a look at this post and this post to catch up. And if you’ve already read those, take a look below to see the newest addition to Zomberry: Day Zero. Oh, the suspense of it all! This comic was released yesterday, so the 5th one should be released sometime later today. Hopefully we’ll find out who on earth is in that helicopter and if Joe Puddy manages to escape from those zombies. If you’re a member, you can have a little fun with some new items while you’re waiting for the next comic to be released. 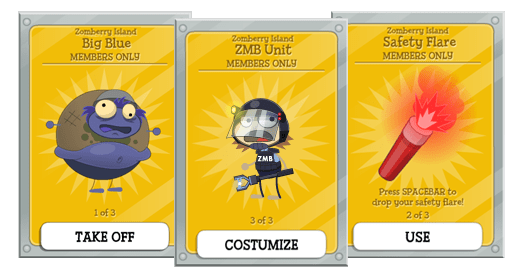 If you guessed that the Zomberry Island gear is now out, then you are correct! The items that you get are the Big Blue power, the ZMB Unit costume, and the Safety Flare item. First up, the Big Blue power! When you put on the big blue power, prepare yourself for a shock. 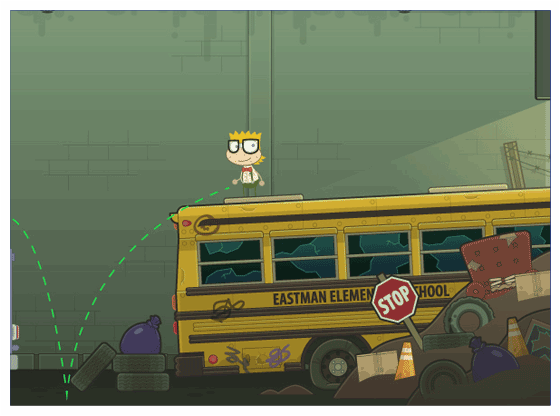 Your Poptropican will turn into one of those oversized zombies. Now, onto the Safety Flare item. When you use the Safety Flare item, a flare will go into your hand. When you press the SPACEBAR, your Poptropican will put down one of these flares, making a reliable, red light. And last, but most certainly not least, the ZMB Unit costume. 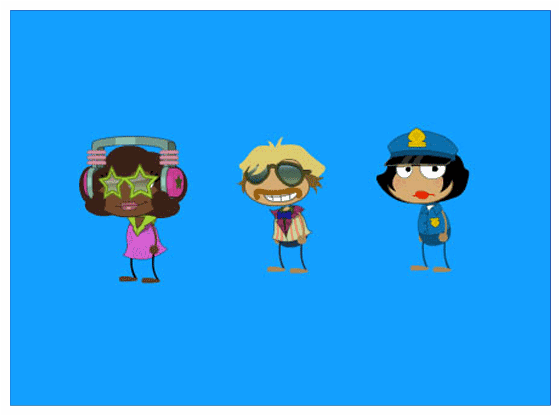 Use the ZMB Unit costume to turn your once-normal Poptropican into a tough Poptropican who’s ready for anything. 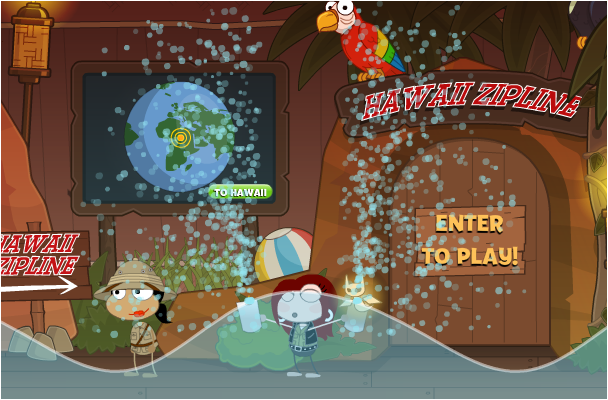 The weather’s gotten colder, snow’s started falling on the blogs, Christmas music is playing on the radio, beautiful lights sparkle on the Christmas trees, all while Poptropicans are getting ready for a Zombie/Fruit themed island. The newest island has been announced (check out this post)! This island’s trouble seems to be one of the weirdest of all. Instead of normal things like crazy rabbits or ghosts, we have to deal with a city that has had an outbreak of Poptropicans-turned-zombies. Very, very weird. A couple of treats are out for all the zombie-lovers out there. The first one is two printable posters from the Zomberry Island info-page. You’ll also find more info about the storyline, bonus quest, and other great extras. 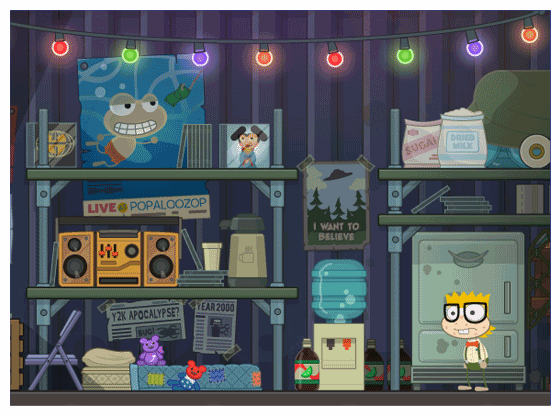 The “you are what you eat” poster gave me an idea about how the Poptropicans turned into zombies. 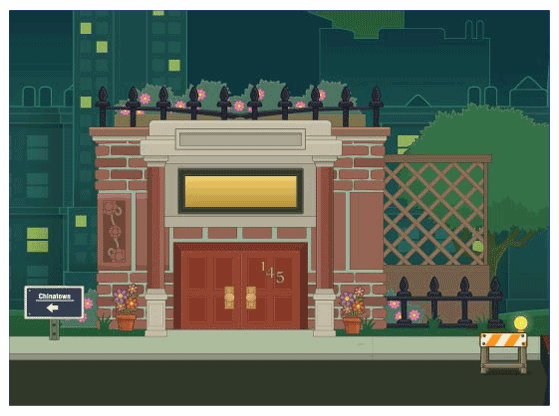 Maybe, some evil villain somehow snuck a bunch of fruit into the city, and the Poptropicans ate them. 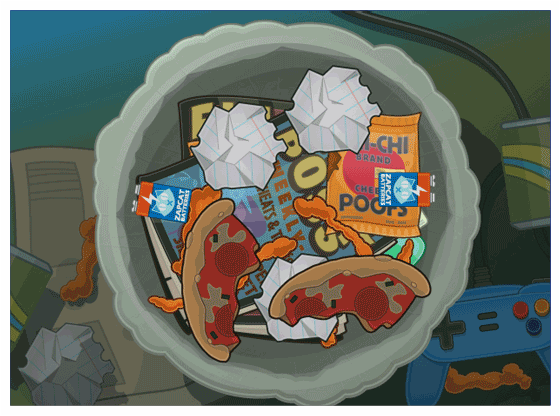 The fruit had something on it or in it that ended up turning the Poptropicans into zombies. I know, it’s not the best idea in the world, but, somehow, with an island like this it doesn’t seem too unlikely. On closer inspection, you can see all the writing at the bottom of the “you are what you eat” poster is like the writing on a movie poster. Here’s a picture. Do you recognize any names? I bet the names in the “starring” section are some of the characters in Zomberry Island. I can’t wait to see what these stars look like. Last but not least, I thought that I would do my usual little bit about the info-page. So, here we go! First off the description of the island. Now, normally, I would put up a picture of the description and then write the description underneath it. But, WordPress has gone and changed on me. Whenever I try to add a picture, it ends up at the top of the page. So, I’m going to try and keep the pictures to a minimum. Anyway, I’m just going to write the description this time. One by one, the citizens of Eastman are mutating into something horrible. Now, the city is quarantined, the survivors are trapped, and ghouls prowl the streets. No one knows how the zombie outbreak began…but how it ends is up to you! And, just like all of the recent islands, this island has a members-only bonus quest. Here’s the description for the quest. The zombie threat has been contained, but more danger lurks beneath the streets of Eastman. 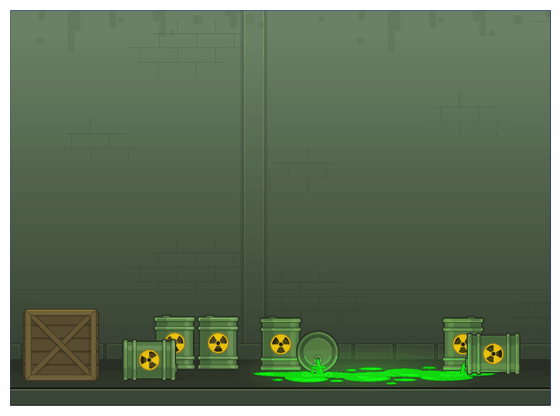 To prevent an even greater outbreak, you’ll need to venture into the sewers with only a flashlight…and your wits! Along with the bonus quest, members get a special Zomberry Island gear pack. The pack is made up of the Big Blue power, the ZMB Unit costume, and the Safety Flare item. Anyone who wants the ZMB costume, remember that it is only available during the early release time, so make sure that you have membership! You already saw the two downloadable posters from the info-page in the Creators’ post above, but you haven’t seen the downloadable wallpaper yet. So, without further ado, take a look! 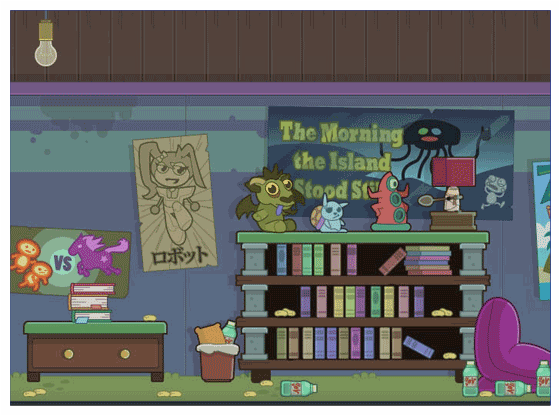 Last but not least, the info-page has some pictures of Zomberry Island. So, why don’t you take a look at them? That’s it for now. I hope you enjoyed this little zombie-fest-of-a-post! Hopefully there will be more news about this somewhat creepy island soon! I have nothing left to say except happy early holidays, merry Christmas, and make sure you listen to plenty of Christmas music!